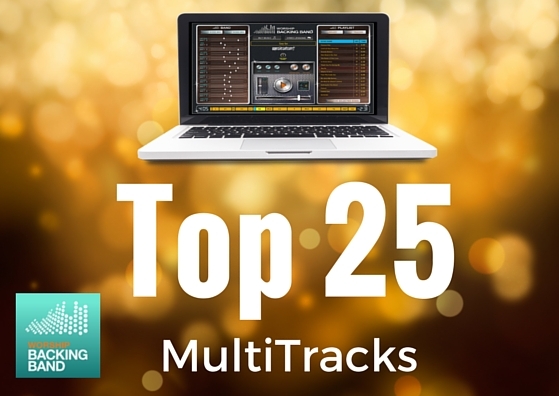 We’ve put together some fantastic bundle pack deals for our MultiTrack users. They are perfect for new users to get them a great repertoire of songs that they know will be popular with their congregation. You always get savings when buying 10 or more tracks at the same time but you’ll save even more with these bundles of tracks. There are also corresponding bundle packs of chord charts with each offer. These are genuinely the top selling tracks from our website in the last year. They also closely correlate with the CCLI top 25 list so even if you don’t currently know all the songs, you can be reassured that they are well known elsewhere and well worth you introducing them to your congregation. These tracks are ready to go with our MultiTrack Player but can also be used in any DAW like Ableton, Garageband, Logic etc.